New version of Dwarf Fortress is out! There’s a new version of Dwarf Fortress out, and, as always, you can get it from the Bay12 site. The change log is extensive and I haven’t had a look at the new client yet to explore all the implications. Go enjoy! 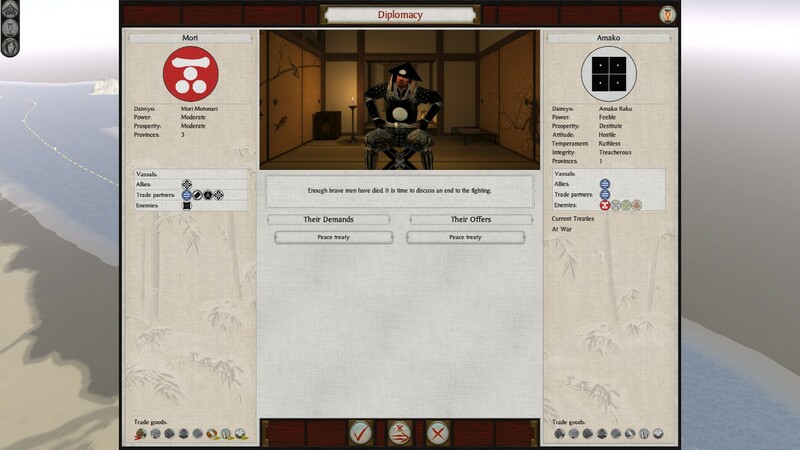 With Shikoku pacified, Motonari turned his attention to fulfilling the Shogun’s wishes and weakening the Takeda. 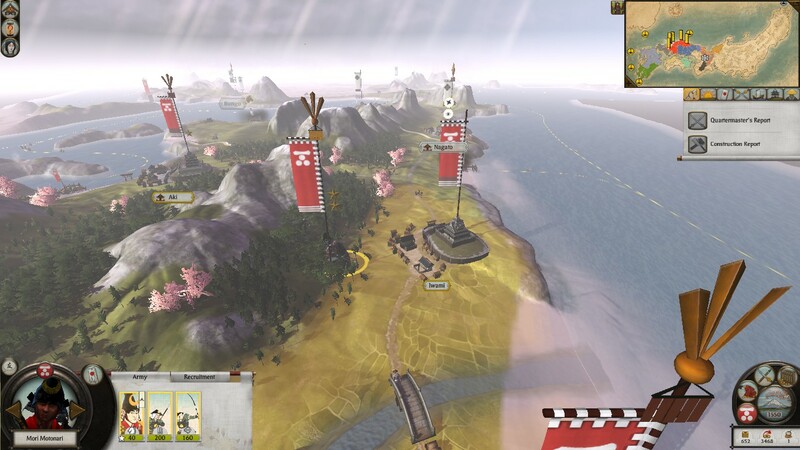 Takamoto reamined in Awa only long enough to repair battle-damage to the castle and recruit a small garrison to remind the population of their duty to the Daimyo. As soon as he was ready, Takamoto’s army boarded ships and sailed east. As he had advanced in years, Motonari had evidently discovered that his wife had also advanced in years, for his womanising ways had now reached the point that his frequent distractions now slowed his army on the march. 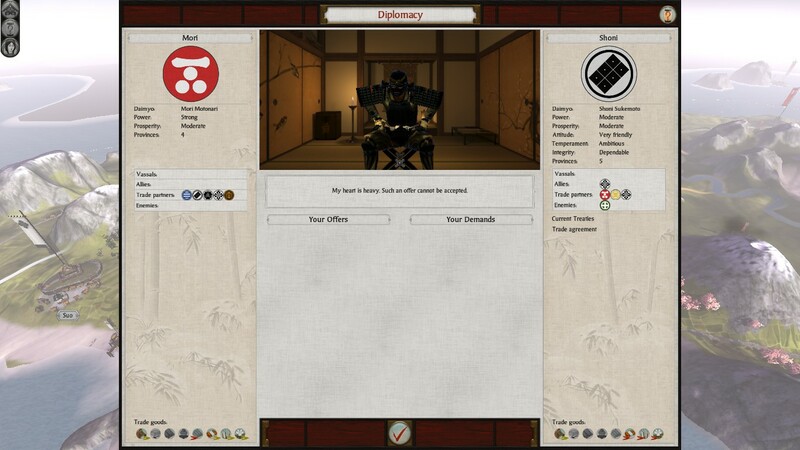 Although Motonari did not want to sully his own honour by embarking upon a war against a clan with whom he had long enjoyed a positive trading relationship, he was nevertheless hopeful that he might be able to acquire the two provinces currently controlled by the Ouchi. To this end, he took the bulk of his army out of Hamada castle in Iwami, and had them hide in forests near the road. 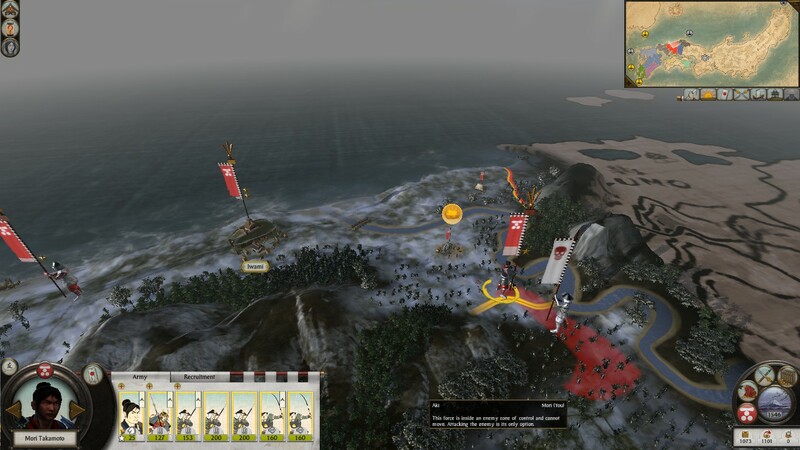 He hoped that the traders would inform the Ouchi of the minimal defences in Hamada castle, and that the Ouchi would seize the opportunity to attack. The potential for conflict with the Ouchi weighed on Motonari’s mind. He began searching for alternative allies. The Shoni, who were allied to the Ouchi, and who had a daughter married into the Mori clan, could not be persuaded to formalise their strong relationship with the Mori into an alliance. Unable to reach the fortifications in Izumo before winter set in, Takamoto decided to wait at the border, rather than risk starving his men by forcing them to forage in enemy territory. While he waited, the Amako sent emissaries frantically begging for peace. 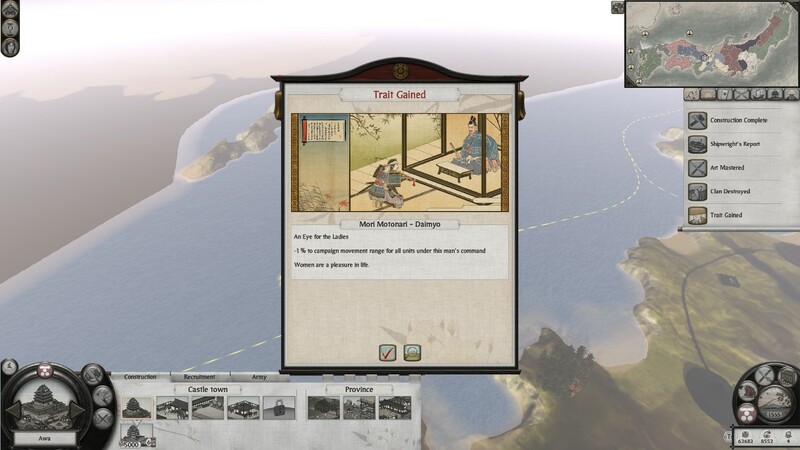 In Winter, a Mori trade ship finally established a cotton trade with the Korean Kingdom. Despite the small scale of trade in its beginnings, it still brought in an extra 2-300 koku per season. As Takamoto followed the Amako force from Iwami to Aki, he was met near the border by a small detachment.